Brows are obviously having a major moment, and hopefully this trend isn't going anywhere (I don't think I can or should ever go back to the barely-there brow trend of the early 2000s). With high-end brands like Anastasia & Wunderbrow getting a lot of attention, it can feel as if having fabulous brows are a luxury item, but never fear! I have several drugstore brow products that are just as incredible as those expensive ones, for way less cash. This brow pomade is my holy grail product. I apply it onto my brows with an angled brush in little, hair-like strokes, for a filled-in & natural appearance. Pomade can be intimidating because lots of people over-do it (i.e. 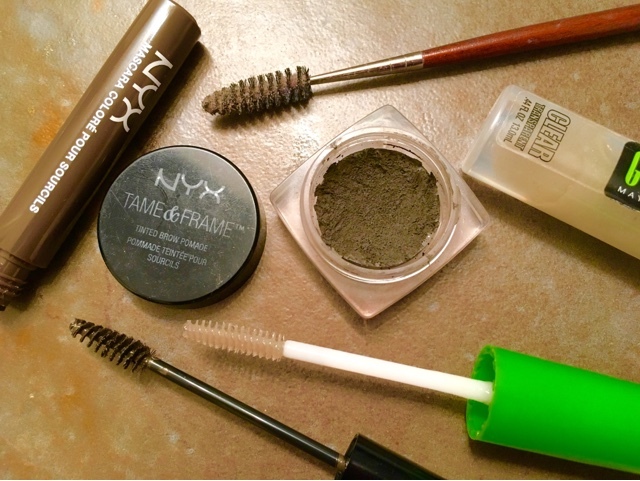 the Instagram brow) but if you keep it natural, it can look amazing while lasting all day. This is my go-to minimal makeup brow mascara. It acts almost as brow tinting, without being permanent. It gives your brows color without making them look too bushy or filled-in, so you still get that definition. If you want the same kind of product with a more full effect, also try Maybelline & L'Oreal's tinted brow gels. Setting your brows is a must if you are anything like me and have dark, long eyebrow hairs that can often fly all over the place. I love using this clear mascara to set them into place because it's inexpensive, it's not too crispy, and it does the job. Plus a little extra run-through with a spooly can help the brows look a bit more natural. 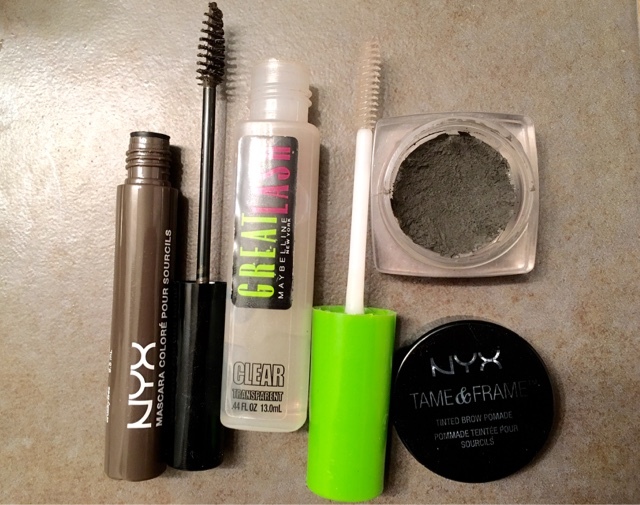 What are you favorite inexpensive brow products on the market?